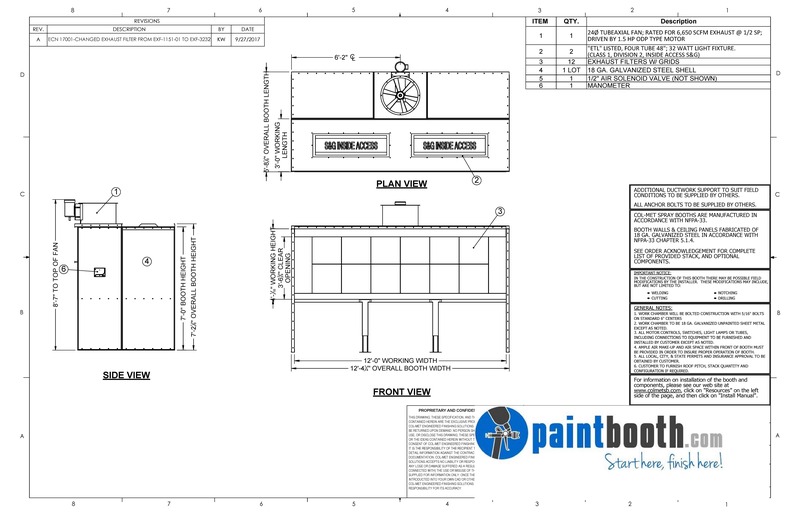 These open faced paint booths are available in a wide range of designs to meet any production requirement. 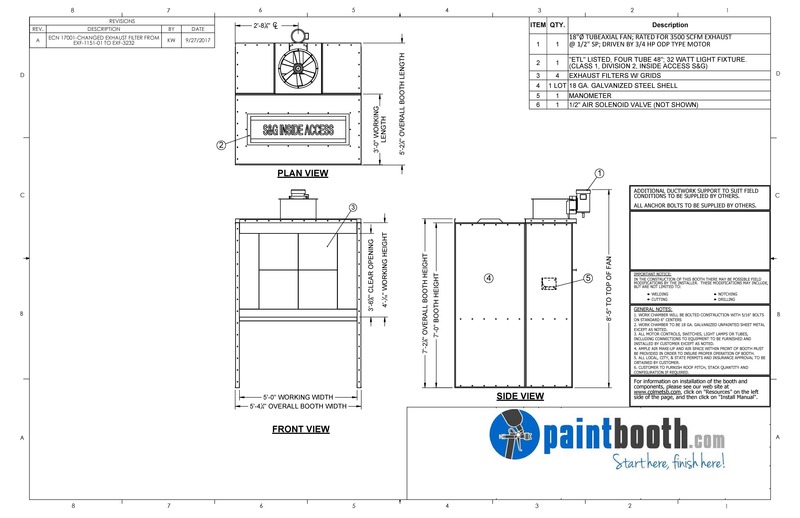 They are used to paint just about anything from aircraft parts to doors and cabinets. They continue to be one of the most versatile booths in the industry. 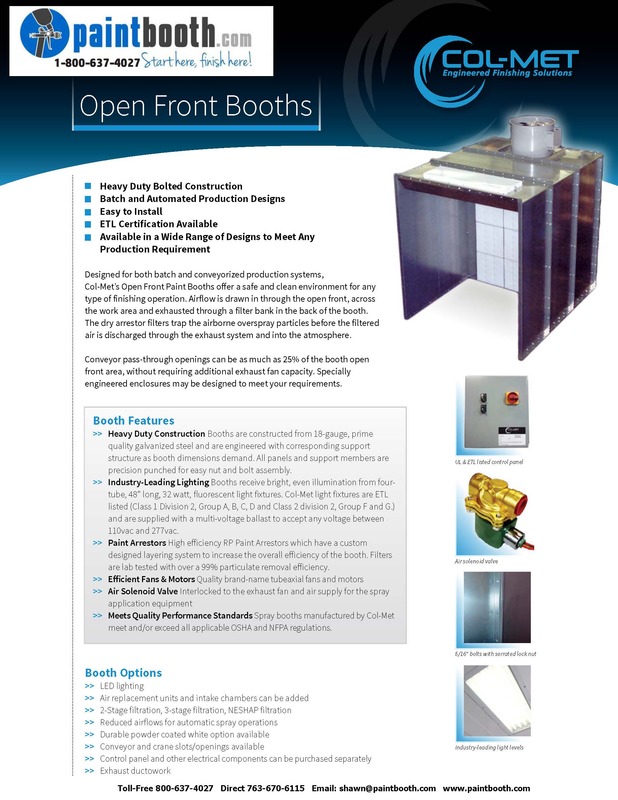 These floor model booths are designed for batch type production systems. Clean air is drawn in through the open front, across the parts being coated and exhausted through an exhaust filter bank in the rear of the booth. The dry exhaust arrestor filters trap the overspray particles before the filtered air is discharged through the exhaust duct system and into the atmosphere. 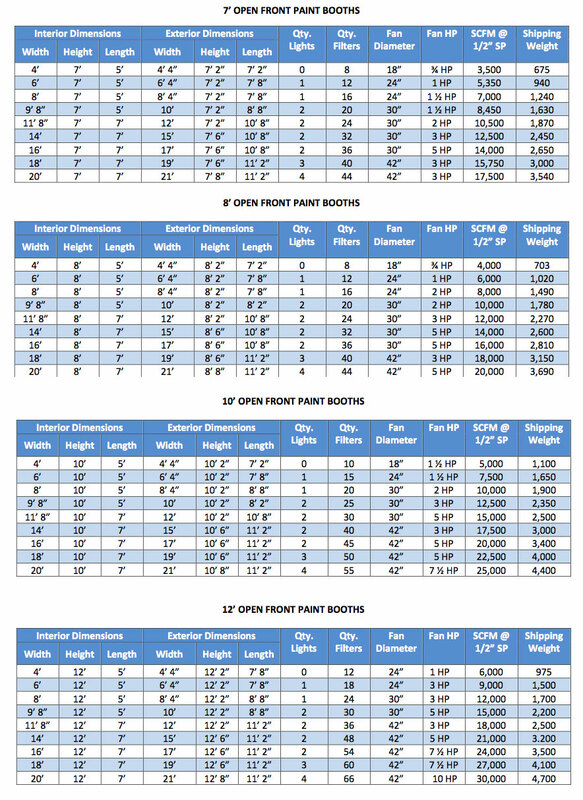 The booths are available in a wide range of models to meet virtually any production requirements. They have a built-in work table to set the products on that you are finishing, which makes them a great option for small parts and maintenance facilities. 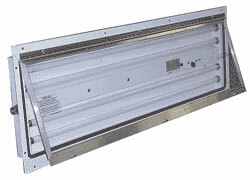 Conveyor openings can be as much as 25% of the booth open front area without requiring an additional exhaust fan. Specially engineered enclosures may be designed to meet your requirements. Heated air replacement units and intake chambers can be added as well as to reduce air flow for automatic spray operations. 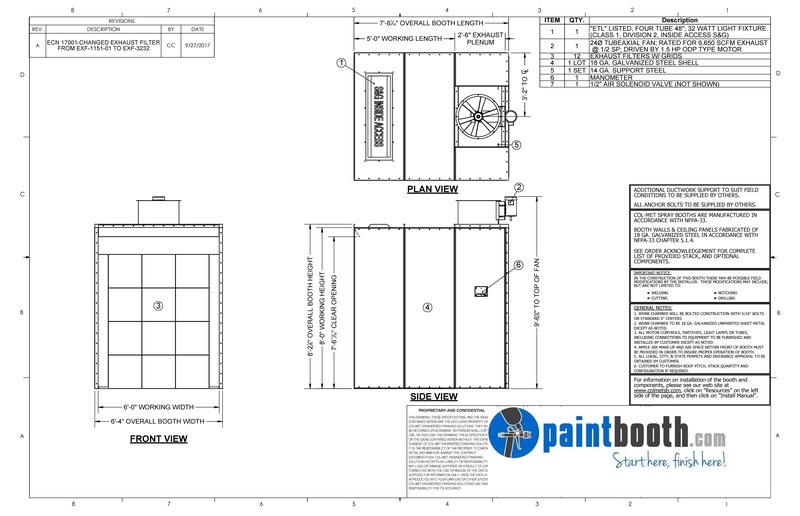 Our factory trained installation crew can get your new Open Faced Paint Booth installed correctly and quickly.